Colleges and universities have become increasingly costly, and, except for a handful of highly selective, elite institutions, unresponsive to twenty-first-century needs. But for the past few years, technology-fueled innovation has begun to transform higher education, introducing new ways to disseminate knowledge and better ways to learn-all at lower cost. 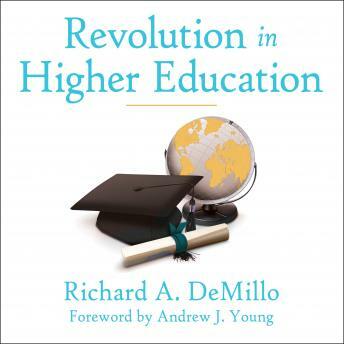 In this impassioned account, Richard DeMillo tells the behind-the-scenes story of these pioneering efforts and offers a road map for transforming higher education. Building on his earlier book, Abelard to Apple, DeMillo argues that the current system of higher education is clearly unsustainable. Colleges and universities are in financial crisis. Tuition rises inexorably. Graduates of reputable schools often fail to learn basic skills, and many cannot find suitable jobs. Meanwhile, student-loan default rates have soared while the elite Ivy and near-Ivy schools seem remote and irrelevant. Where are the revolutionaries who can save higher education? DeMillo's heroes are a small band of innovators who are bringing the revolution in technology to colleges and universities. DeMillo chronicles, among other things, the invention of MOOCs (Massive Open Online Courses) by professors at Stanford and MIT; Salman Khan's Khan Academy; the use of technology by struggling historically black colleges and universities to make learning more accessible; and the latest research on learning and the brain. He describes the revolution's goals and the entrenched hierarchical system it aims to overthrow; and he reframes the nature of the contract between society and its universities. The new institutions of a transformed higher education promise to demonstrate not only that education has value but also that it has values-virtues for the common good.